You haven’t asked me anything about my pre sea Training. Aren’t you curious? Or you have already discovered all of it? And well by the way if you haven’t done it till now, you are doing now! It wasn’t the first time I was going to some new place, but it was all different, all changed, not simple as it did seem to me, my heart was at risk but brain running at its pace, without care. After searching for an auto rickshaw at the lonavla station, we occupied one for fairly high rate. 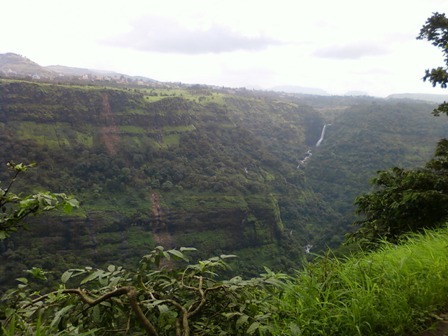 After all it was lonavla, a hill station, charges had to be high. It was raining, All through the journey to Institute in that rickshaw I was trying to make out which kind of structure would it be? Although I had seen it in pictures almost a thousand times. After half an hour ride in rickshaw I did reach where I had to, and yes I was impressed. it was exactly the kind of institute I had dreamt to study in. I was trying to act smart, as and when I did reach the place, after all I was smart! We searched for keys and got cabin no.104 allotted, when I got in the cabin, it was already occupied by a guy and it was Neil, soon we familiarized ourselves and my father and his parents left. 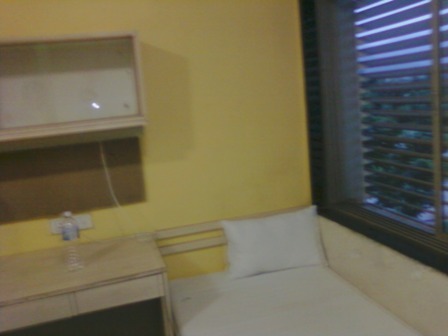 my bed at my institute,second day of my joining. Now for first time in my life I was all up to me, it was a great feeling at first everything did seem to go perfect and in a fair order. We got allotted with our bed linen, blanket and towels. We gathered in the evening and for the first time I came to know it was fall in, and we were not supposed to move an inch although we did move a lot afterwards! My warden was a strict man, well he was more strict than required for some! And there itself I made a resolution that whatever happens, I won’t do anything which made me guilty. Next day I was supposed to wake up at 0500 hrs and go for tea at 0530 hrs,obviously I didn’t wake up at that time and didn’t go for tea , not only that day, but throughout my training! Now after a fall in second day, we were supposed to go for a briefing, it was orientation, and we were introduced to the faculty members and instructors. For next two three days same thing followed and tailor came and took our sizes for the uniforms. We went ahead with some left right training in military way , at first all that seemed to be crazy. Everyone around was just exhausted with the schedule, 0545 hrs Physical training and it was not just ordinary PT, we had to run one and half kilometers and then followed the other exercises. Going for breakfast on 0700 hrs was hectic and it I always tried to avoid going at 0700, and whenever went in cafeteria for breakfast it was 0745 hrs eat and run! And it was not finished we had to be present for the parade practice at 0800 hrs again. 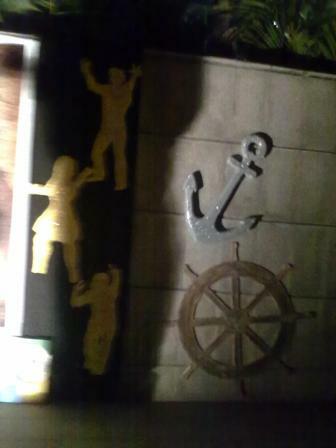 Four days it took us to attend the first class; it was a ancient mariner I guess! A Old man, a Master Mariner, Old by his baldness and jaws, but all young in spirit and enthusiasm. Soon the uniforms came all stitched, with shining white shirts and shorts, with stockings up to the knees, Black trousers too were issued but it was just a matter of dinner in the evening, with the waistband that looked awkward in the beginning. All the Engine Cadets were allowed to wear the full white trousers and we were allowed to wear them only on ceremonial days, later our shorts rocked! Beret had to be worn on the normal working days and peak cap only on ceremonial purposes. Everything seemed to be in a gentleman’s order. Soon we got accustomed to the trend that was followed, in uniforms, in exercises, in classes, in sports and in projects. Things were now getting easier a bit, now those march past timings for us were eliminated and we were not required to be present there at 0800 hrs itself, now we took our time and came at 0830 hrs, and went for classes on 0845 hrs after an overall inspection of beard and mustache shaving , haircut, uniforms, and nails. After two classes of one hour each we were allowed to take a short leave of 15 minutes for a lime juice/tea break, and again two classes and we got our lunch at 1300hrs. Decoration at SIMS Officer’s Seminar. 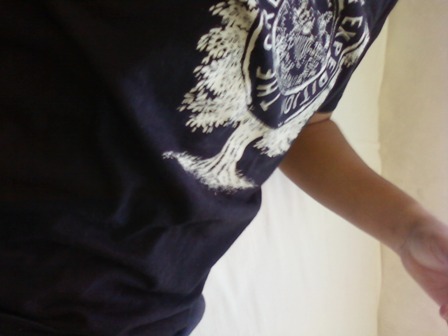 My T shirt, which I wore most of the time during my hours at hostel, ill take it to my on board training too! It had been three weeks since we came to the Institute but none of us had got even a single chance to go out and see the beauty of the place, we had been given a short ride of the shops and other places by the Institute’s bus. Now after three weeks, on a Sunday, we got a chance to go out on a shore leave! Well were we in some ocean? Why did they call it shore leave? I got to know it later that institute had been designed in such a way that it had all qualities of a ship to keep people onboard till the shore came! Now we went on this shore leave to a tourist spot in the town know as bushi dam, well it was all kind of okay, I was not much fascinated by the trip, but it gave a sense of relax after getting out , we were allowed to go out on this kind of shore leave only on Sundays and holidays, between 0930 hrs and 1800 hrs, if permitted by the warden. Lonavla at my first shore leave. Navigation was easy to get in my head and simple in the books, but it proved to be a bit different in the midterm exams, I was not satisfied with what I got in it. But after all Navigation is what a Navigating Officer is made for! I tried to work on this subject too, Maritime Law was going quick in my head and I was writing in best manner that I could, cargo work seemed to be complicated but could never prove me wrong at exams. PCM was big ball for me to roll, but I was doing it quiet well here, I don’t know how, but I was doing it. The computerized programme for navigation was good for show but no good at my mind when I had to sit at it for hours together, Navigation Simulators were quite great, and everyone was after it to use it at his play station. We had three full Navigation Simulators at our Institute and it really felt as if we were in a ship, the sound, and the motion everything! 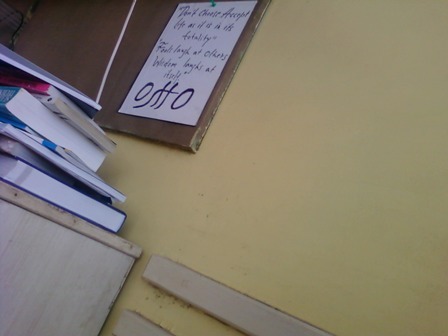 my study table, with osho’s message at the board, exam time! 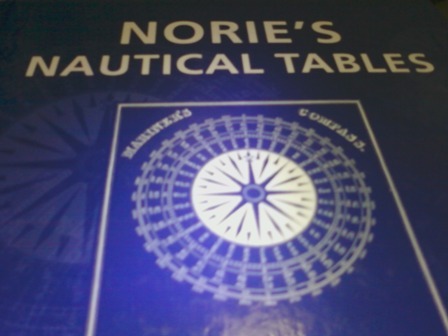 My Norie’s Nautical Tables, used for Navigation solutions. The daily routine was to attend the workshop sessions after the lunch, at 1345 hrs when we left for workshop in our white boiler suits, it felt a lot uncomfortable and the heat below the workshop was unbeatable, especially during the seamanship sessions, the knots we had started learning in the very beginning with type of ropes and their care. What gave good comfort was always the overhand! Now slowly things passed on to get regularized, although the merciless warden was all after us, inspections of cabins continued and nobody was allowed to watch the television in the lobby after 0800 hrs,except on holidays he permitted .Now I was tired of this life really, and was excited for the coming vacations in January, I started preparing myself to move out of the institute for a break to my home , and exams were just following, exams started and everything went out of mind, Navigation was what remained still in. I did well in all of it and on the last day it was the exam of Maritime English and I left just after the exam, I guess I had barely written hard by using all my skills, but I had it in my mind I’ll do it good anyhow! Now I just picked up the bags I had already packed last day.There isn’t any point making any comment on how I felt when I left for my home. Next My life at pre sea training institute (Second semester). The starting was kinda cute. I giggled at many points in this blog. To be honest, the writing style is so beautiful. While reading i was clearly able to imagine the whole plot and that was amazing. Just beautiful!